My friend Regan Johnson recently asked me for ideas for an HO scale layout to fit around the walls of his home office. He wanted something based – or at least inspired by – a prototype. He wanted space for lots of structures. And he wanted it to fit existing benchwork for a layout that he has now outgrown. 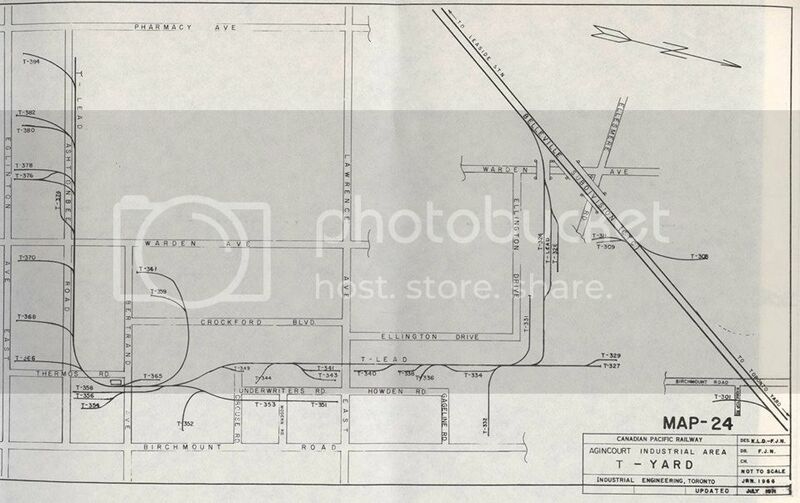 This short (3.4 mile) spur in Scarborough – now the east end of the amalgamated Toronto – served a number of small industries, a couple of larger customers and a small team track facility. I shared the track map with Regan and he thought it would make a suitable prototype. We exchanged several emails and as a result, I developed a plan to give us a starting point for a discussion over dinner. Turns out he liked the plan, so we’ve moved directly to plans to build this in his home office. 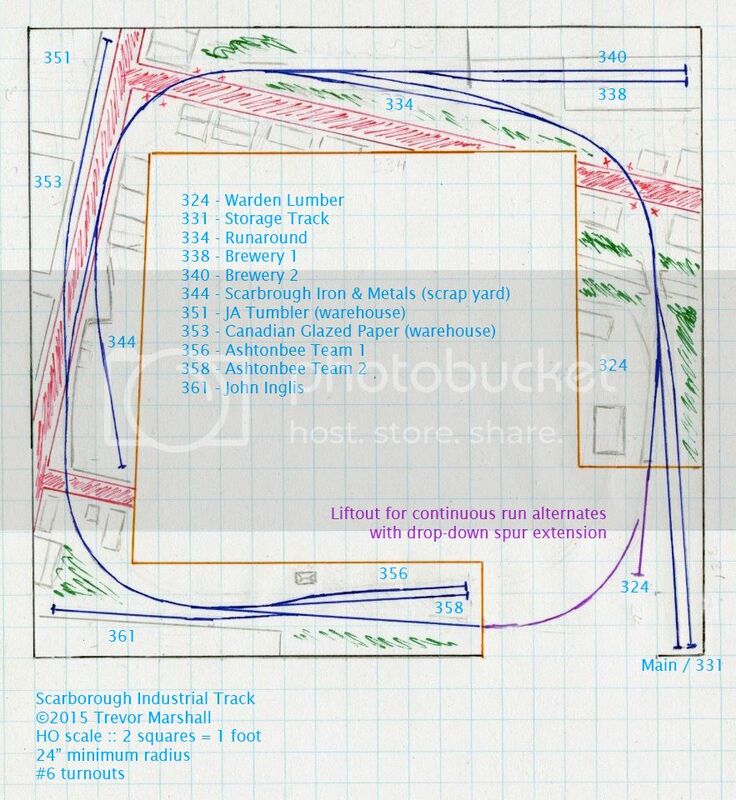 Given how modest the space is, the layout plan is “inspired by” the Scarborough Industrial Track, rather than a faithful reproduction of it. 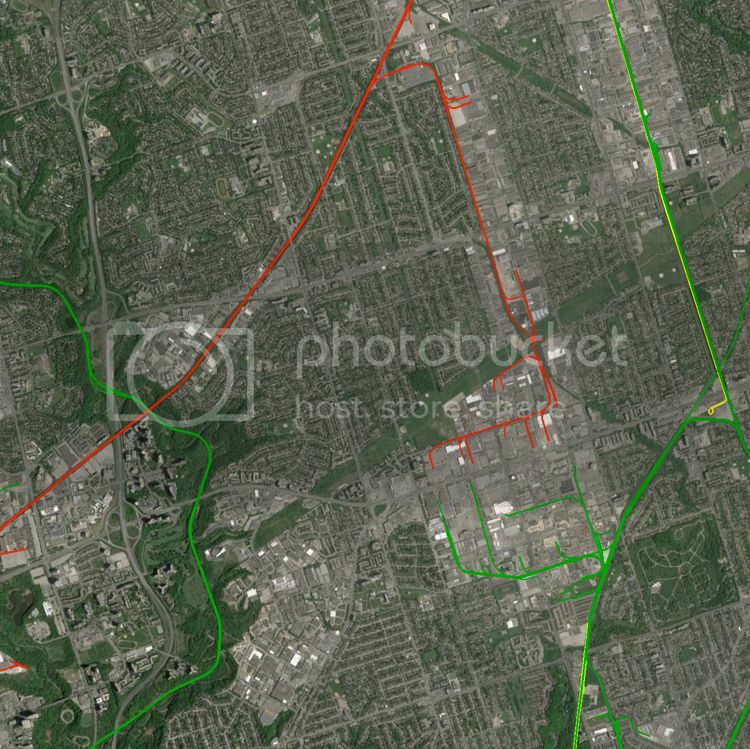 The idea was to capture some of the typical operations of a suburban switching spur, along the lines of those advocated by Lance Mindheim, but with a southern Ontario aesthetic. In the plan above, the structures are pencilled in as the final positions would depend on the kits or plans Regan wants to build. And since he requested it, I swapped out IBM for a brewery. Regan wanted the option of continuous run so he could have a train circle the home office as he worked, so I’ve accommodated that by including a lift-out section to bridge the entryway. 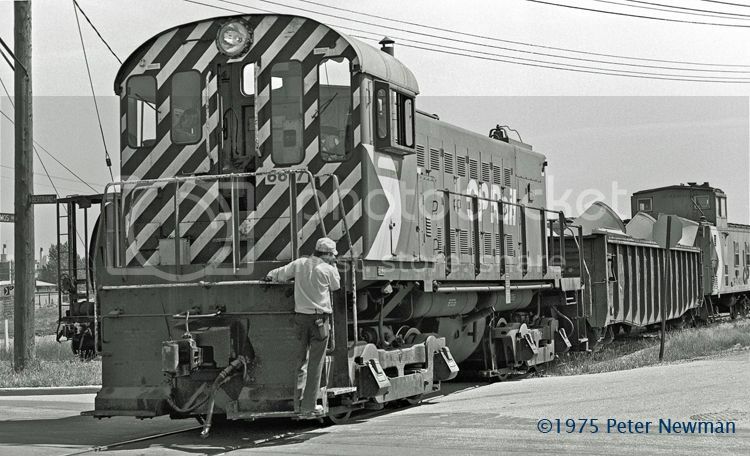 At other times – including during formal operating sessions – this would be removed and the track along the right wall would become a spur serving Warden Lumber. An extension could be fitted, as shown, to provide more room for spotting cars. In normal operations, a train would start staged on the main at lower right. It would enter the scene and then use the main and storage track to sort its cars. Rather than switch everything at once, it would work in zones – perhaps working the lumber yard, then the brewery, and then returning any lifts to the storage track to exchange for cars destined for the warehouses at 351, 353 and 361. 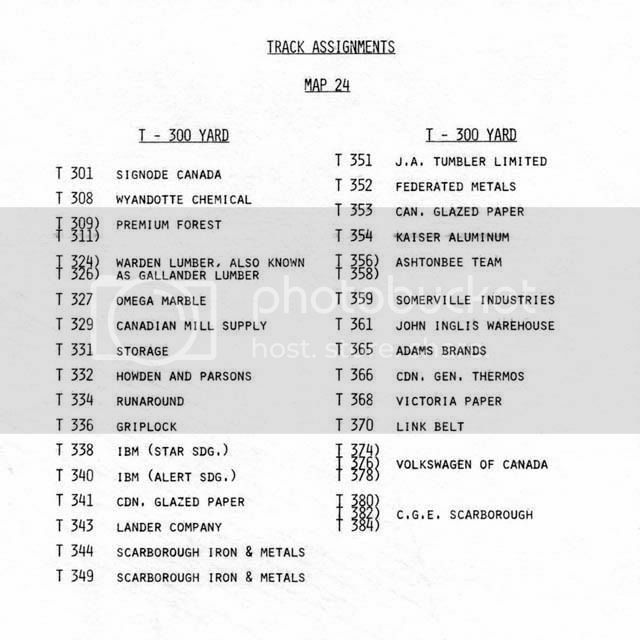 Finally, cars for the facing point spurs – the scrap dealer (344) and team yard (356, 358) – would be handled in a third trip along the spur. With the benchwork already in place, construction should start early in the new year with a turnout-building party, using a Fast Tracks Code 70 #6 fixture. The turnout to 344 is in the street, and will be fun to build. We’ll likely start with most of a turnout built in the Fast Tracks fixture then add longer guard rails to represent trackage in the pavement, finishing off with a single point switch. Even in a modest space that’s used for other purposes in addition to the layout, it’s possible to develop a plan that’s at least inspired by a prototype and without overcrowding, that will offer a couple of hours of entertaining switching. I look forward to operating sessions on this layout!